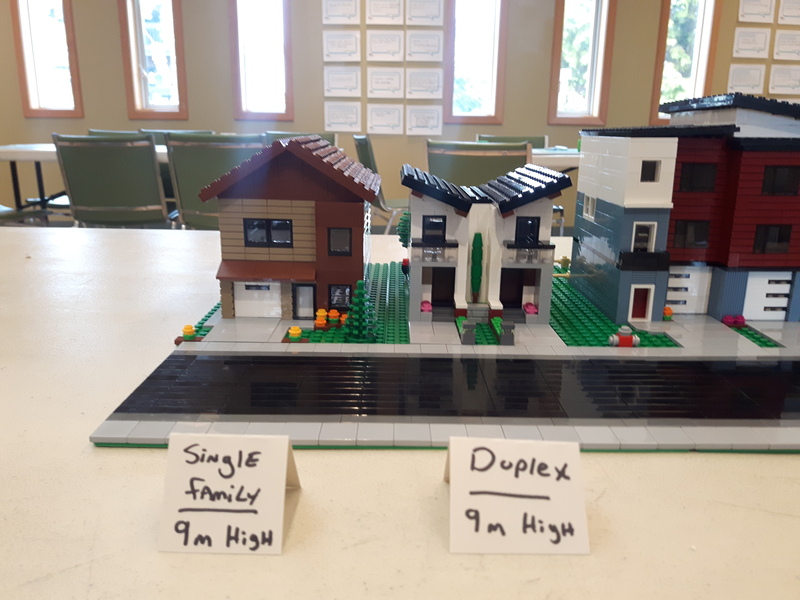 MILUG had the opportunity to contribute to the City of Nanaimo’s Affordable Housing Strategy Expo on April 28th 2018 by using LEGO® to explore variations in density in a residential neighbourhood as part of a public engagement session . 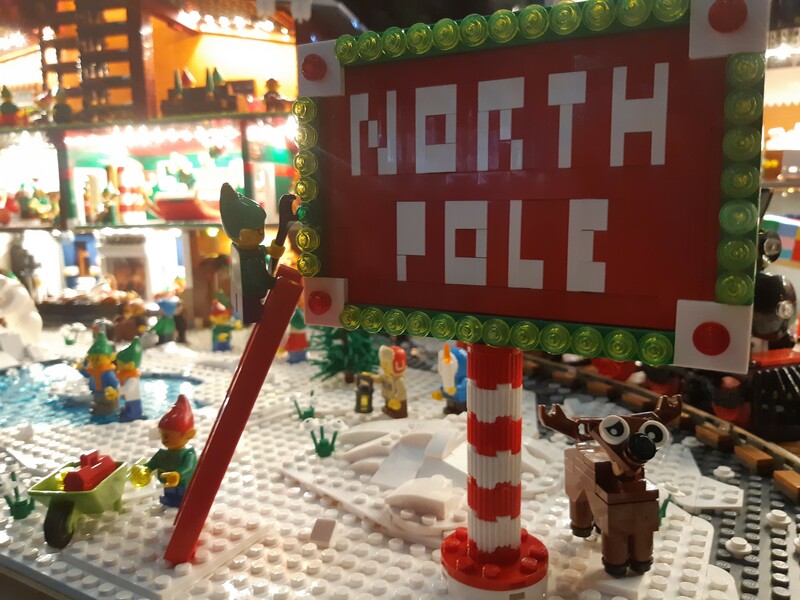 Using LEGO® as a medium to communicate information to the public meant that we had to get it right. We met with members of the City’s Affordable Housing Strategy team and learned about zoning requirements and types of housing. Although we all agreed that a minifigure scale display would be amazing, we only had 3 weeks to construct the models (this also happened to be crunch time for BrickCan) and it would take far too many bricks as the lot size for the largest buildings would be six 32×32 baseplates each! 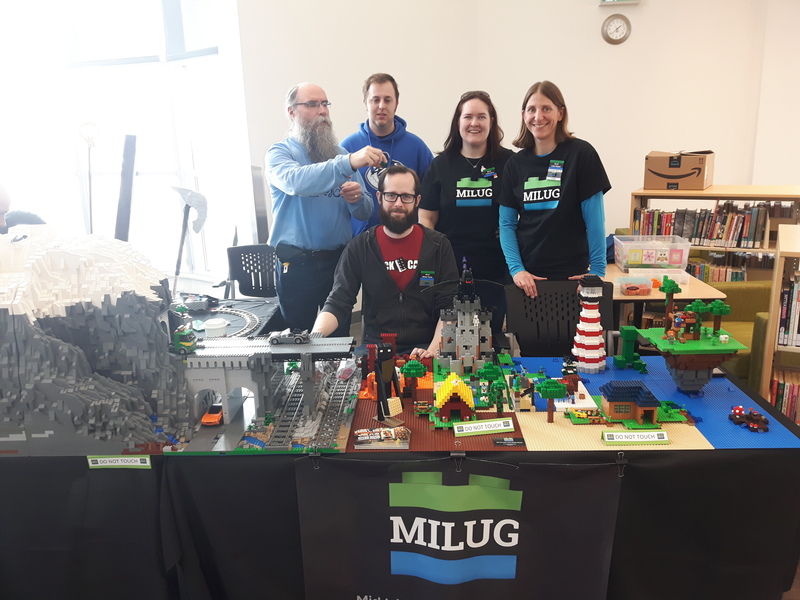 We also thought about creating a microscale neighbourhood as many of us had created MOCs for Micropolis (a microscale city standard) in the past but we felt it would be too small to capture the variation in building height. After brainstorming we decided to try building at a half-minifigure scale which presented its own unique challenges – if windows became doors then what would we use for the windows?! 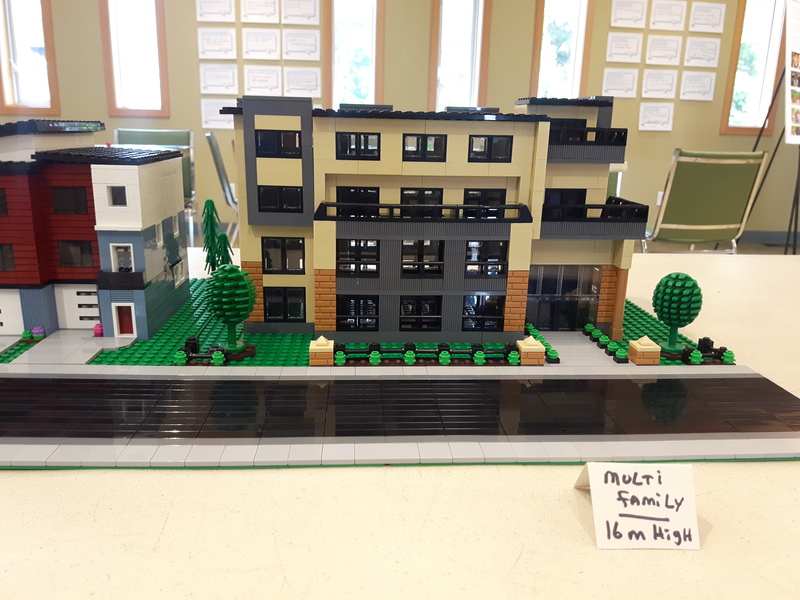 Our members had a lot of fun exploring this new scale and experimenting with different ways of using LEGO pieces to achieve realistic elements of actual buildings. 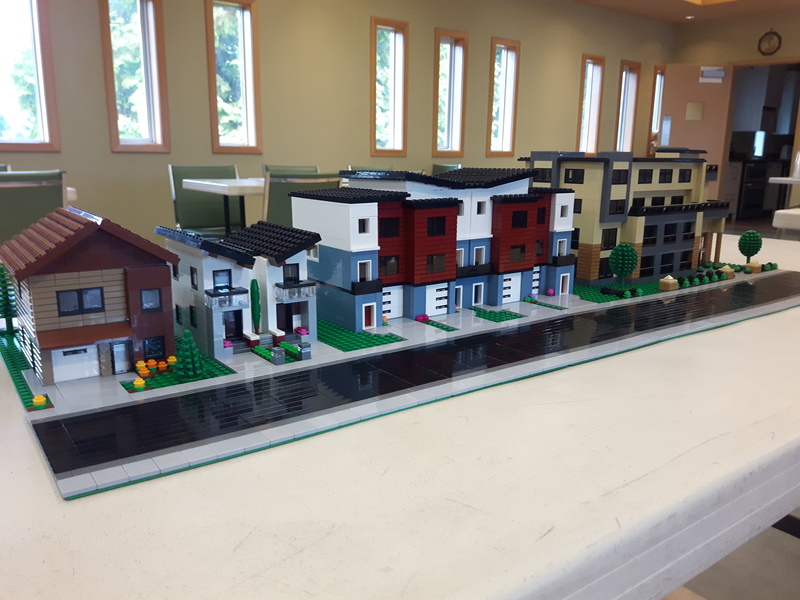 The final display contained 4 models: a two-storey single family detached home, a two-storey duplex, a three-storey row townhouse and a four-storey mid-rise apartment building. 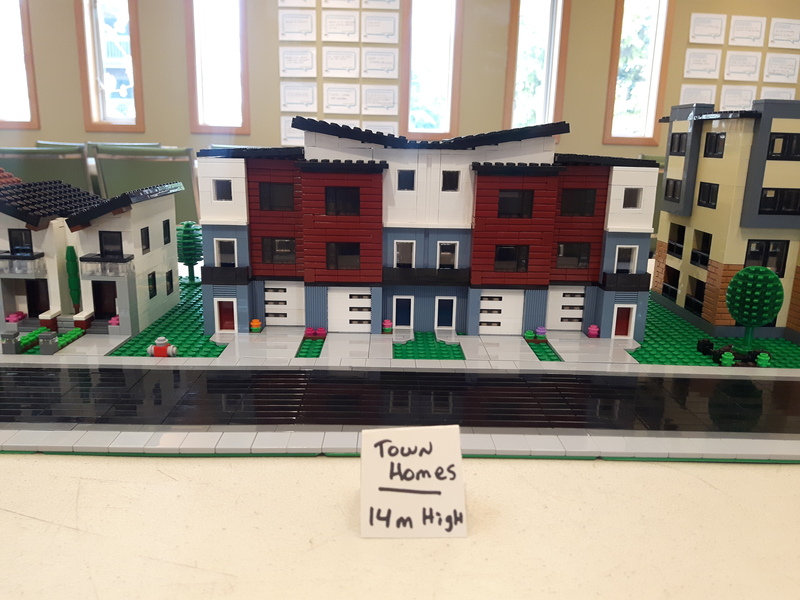 We were very pleased with the final look and clean lines of the models and felt the display did a good job conveying the message about the various options in residential density. A photo of our models even made the front page of the Nanaimo News Bulletin. We really enjoyed participating in this project and hope to collaborate with the City of Nanaimo again in the future. More photos can be found on the MILUG Facebook page.